I enjoyed studying history but chose to leave academia at the end of my masters. After a few months working in sales/account management role for a local IT company, I decided this wasn’t right for me. 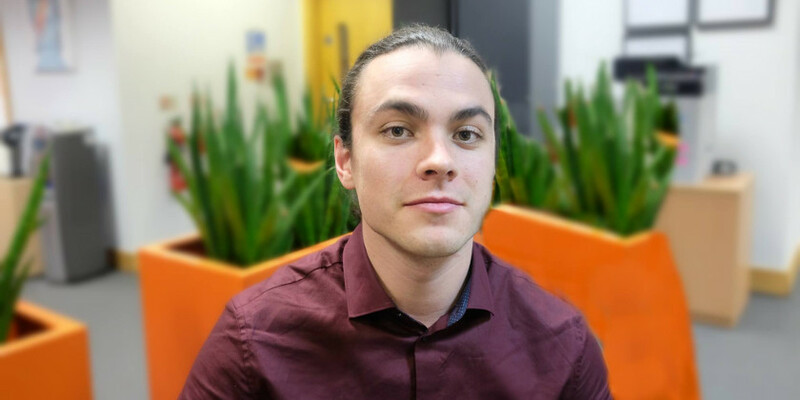 I started exploring a career in digital marketing and soon secured a role as a Digital Marketing Executive with Hallam Internet. I’d been aware of the digital marketing sector for a while. When I started my masters, my girlfriend – also a Nottingham graduate – got her first job with a Nottingham-based digital agency. I did some research and it looked like a really exciting sector. I found it particularly attractive because the work is varied and it combines analytical skills with creativity. It’s a fast-moving industry that requires constant reading and research to stay on top of new developments. Each day is different. Today, I spent the morning putting together a recommendation for a number of new pages for a client’s website. This involved key search engine optimisation (SEO) tasks: competitor analysis and keyword research. For example, researching terms people type into Google to help my client’s website appear higher in the search results. Next, I finished off some blogs for two clients, which were on completely different topics. Then, I spent the afternoon optimising some website copy. During my masters, I worried about what to do afterwards and whether the last year had been useful. It turns out, it definitely was. I manage my own time and no-one checks what you’re doing – you’re trusted to complete your own work. Completing an MA History is a great test of how well you can manage your time and workload. During my studies I was working on several pieces of coursework at any one time. All had different word-counts and deadlines, plus the 20,000 word dissertation that was always in the back of my mind. I carried out several assessed presentations as part of my masters. Learning to stand in front of people and speak with confidence is a skill that’s useful for any industry, not just digital marketing. Writing well is obviously a key part of any humanities masters course, and that’s coming in really handy now. I enjoy the copywriting and content creation aspect of my role whether that’s writing pay-per-click (PPC) adverts, copy for a website product page or a blog post for a client. The ability to quickly scan various sources of information, understand the wider context, and write quickly and authoritatively is something I honed during my masters. If you are interested in a career in digital marketing, find out more about the different roles available and how to gain work experience on our website. Why Should You Choose a Local Law Firm?